Please only click in this link if you are participating in the beta test for our phone app. 1) Q – With building works around the start of the walk at Temple Meads, Cattle Market Road and the Avon Walkway for the Bristol Arena and related developments will the route change? 2) Q – Will the Filwood Quietway works on the Northern Slopes and in Victoria Park affect the routes? Long Route – The Filwood Quietway works in these two areas will be taking place between March 2018 and February/March 2019. 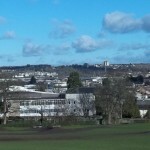 For the Northern Slopes area – when you come down hill from the Viewpoint at St Barnabas Church – either walk down Wedmore Vale road – and then uphill up Glyn Vale – until you reach Cavan Walk and rejoin the route; or if the entrance just up the road into the Glyn Vale site is open (it wont be all of the time) go up the steps turn left into Kenmare Road – turn right to walk along Kenmare Road and then walk down the path next to Clover Court which takes you to the view point above Cavan Walk. 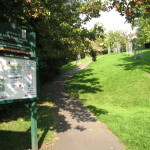 Short Route – Victoria Park – the only change is that the entrance to Victoria Park at Hill Avenue may be closed – if it is walk up Nutgrove Avenue in parallel with the route. Frequently Asked Questions and updates to booklet. 1) Q – Who designed the birds next to the River on the first part of the walk? 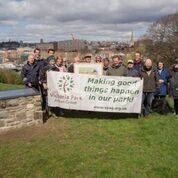 2) Q – You mention foraging opportunities as part of the walk – what kind of things can I forage for? Firstly, please do not pick and eat anything do you not recognise. Also please do not pick everything from individual locations – please leave food for others and for wildlife. 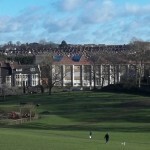 The more informal green spaces – the Slopes for instance; plus less managed parts of the formal Parks can be good for blackberries, sloe berries, elderflower and horseradish as examples. 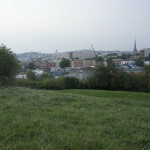 Perretts Park has a number of raised boxes which grow vegetables, salads and fruit. The availability of the food is of course seasonal. 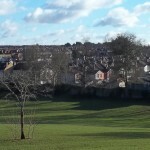 4) Update – Malago Greenway – Brixham Road open space. The Berry Maze is a community project which is a unique maze made out of berry plants – 240 of them. The plants still have to grow, but the maze structure is there along with a lovely mosaic donated by a local school; and a huge 8x4m reproduction of the initial map of the maze drawn by 9 years old Harry Ward. 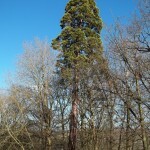 are planning a walk on Saturday 6th May 2017 starting at 11.30 a.m.
from Knowle Library Broad Walk Shopping Centre. Meet at 11 a.m. to look at old prints and photographs of the area. Walks will be Short, Medium or Long depending on the walker. For further information contact us at info@bssw.org.uk or Knowle Library. 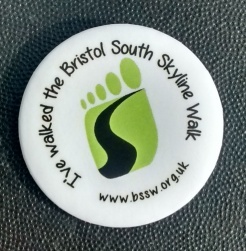 If you have walked either the Short or Long route – apply by email or write in for a free badge to info@bssw.org.uk with your name and address. It is one a half inches in diameter (c 4cm). 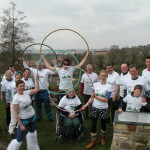 See our introductory video to get a flavour of the BSSW walk. 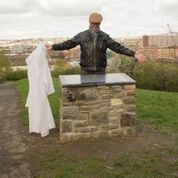 Bristol south skyline walk from Aditi Rajagopal on Vimeo. Final version of the BSSW booklet printed….. The final BSSW booklet is now printed. We will be distributing it around the city soon.